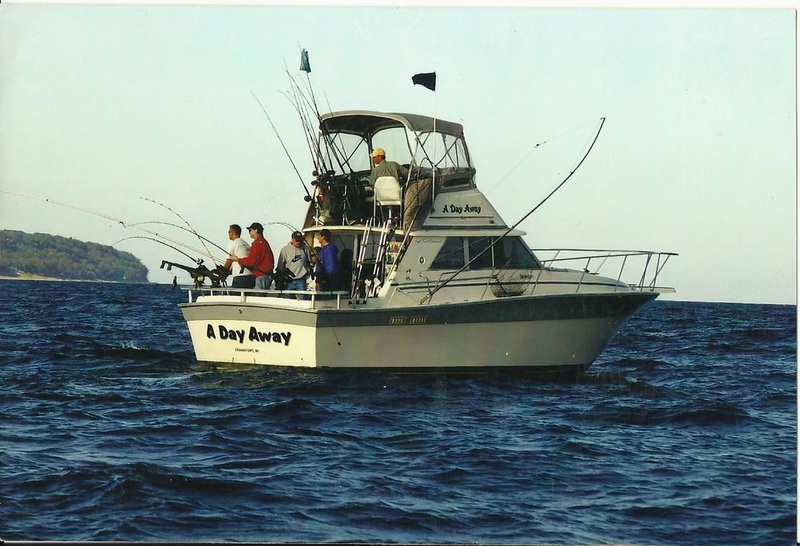 Come spend 'A Day Away' fishing on beautiful Lake Michigan with Captain Kent, who has over 25 years of experience fishing out of Frankfort. We specialize in Salmon, Lake & Brown Trout, and Coho. Perfect for every level of fisherman! Family groups, parties, or couples getaway! "We took a family trip. He is wonderful. It is just a fabulous trip. We even took really young children, a 1 and 2 year old. He has the best equipment for finding salmon. We ended up with 17 salmon one year and the year before several as well. It is a wonderful experience!" Whether you are a morning or a afternoon person we have the perfect trip for you! Or you can customize your own trip based upon your needs!